MADISON BIKE BLOG: Can a Car Cross the Centerline to Pass a Bicyclist in Wisconsin? Can a Car Cross the Centerline to Pass a Bicyclist in Wisconsin? Many drivers get aggravated by bicycles on roadways. Some of the time the anger is caused by bicyclists not riding properly and taking up too much of the road. Other times it seems the drivers are just angry that people choose to ride on "their" roads. For example, in this Kansas Editorial, titled, "You are not training for the Olympics," the executive editor comments on the death of a bicyclist caused by a hit and run driver. The editor states that bicyclists should stay off county roads during harvest season and instead should stay in town, find some other safe form of exercise such as jogging, or just rest since Harvest is only once a year and doesn't last that long. Some drivers realize that a few extra seconds or minutes on their drive is not a big deal and they wait patiently behind bicyclists for a safe and open area to pass. Other drivers put themselves at risk along with bicyclists by doing things like passing without giving three feet, and passing a group of bicyclists in the left lane while traveling up a hill. 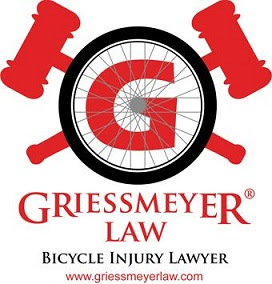 Some drivers have stated that the reason they pass bicyclists without giving three feet is because they refuse to cross the yellow line and go into the oncoming lane. Some may chose not to cross the centerline for safety reasons, others may think they cannot legally cross the centerline. The law in Wisconsin allows crossing the centerline depending on speed. "The operator of a vehicle may drive on the left side of the center of a roadway on any portion thereof which has been designated a no-passing zone, as described in par. (a), to overtake and pass, with care, any vehicle traveling at a speed less than half of the applicable speed limit at the place of passing."